The dedicated learning centre for the theory and practice of apithology. The opening of the Centre for Humanity Learning represents the culmination of a decade of inquiry by a remarkable group of individuals holding the development of the field of apithology. 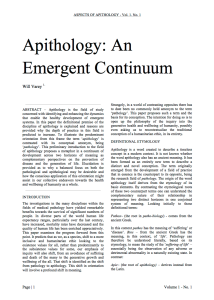 The history of apithology begins on 16 October 2004 with the public release of a foundational peer-discussion paper. This came about from an inquiry exploring the voice of a future humanity upon us entering the 21st Century. In a way, apithology is a child of this century's questions. It provides a positive humanity affirming response to our contemporary contexts. In the decade of dedicated learning and inquiry that followed, we discovered a vast amount and some new forms of knowing. This material is now being made available for the first time. The central focus for Apitholo is the type of generative learning a humanity engages in. The Centre for Humanity Learning is where we learn together how to do this collectively. For now, Apitholo is the sole place where you can learn to practice apithology. Welcome to Apitholo, subscribe to stay informed and begin to consider how you would like to contribute your talents to this field of endeavour. 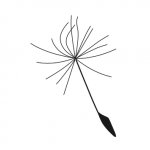 Apithology ~ is the discipline that studies the generative causes of health and wellness in living systems.